On Thursday, March 31, St. John's University will be hosting it's First Autism Awareness Day. I am extremely honored to have been invited as one of the guest speakers for the Inside of Their World: Candlelight Vigil of Hope segment (8:00pm – 10:00pm | DAC Patio and Living Room). Please join us. For more information and/or donations please visit Sprinkles of Hope. Start your day with a continental “blue” breakfast, information about autism, and a special showing of the movie Temple Grandin. T-Shirts, Pins and Bracelets will be on sale and all proceeds will be donated to Autism Speaks. An exclusive School of Education event (invite only)! 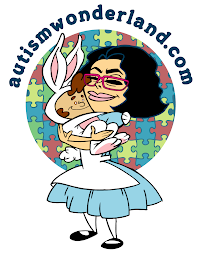 The School of Education is sponsoring the LIUB PS 177 by having FUNTIME SESSIONS. Education majors will be able to join us as we engage with students from PS. 177 in arts and crafts, story time, STJ mini campus tour, coloring, snack time, and a light it up blue special egg hunt! Course Description: This workshop teaches educators effective strategies to manage behaviors of children with autism. Light it Up Fun Soccer Clinic in collaboration with our RedStorm Women’s Soccer Team! Please join the University Community as we gather together in prayer and hope! Hear from mothers of children with Autism as they welcome us into their world. Light reception to follow.